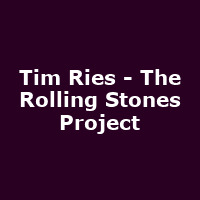 "In 2005, Rolling Stones saxophonist and keyboardist Tim Ries, produced, arranged and recorded the Rolling Stones Project. The arrangements are steeped in the jazz, blues, rock and Latin genres. Guest artists included: Keith Richards, Charlie Watts, Ronnie Wood, Sheryl Crow, Norah Jones, Lisa Fischer, Bernard Fowler, Darryl Jones, Bill Frisell, John Scofield, John Patitucci, Brian Blade, Ben Monder and many others. During the 2 year Stones Bigger Bang tour, Tim recorded another project, Stones World, and released the disc in 2008. This was a unique opportunity to record in many countries, utilizing the talents of local musicians, singers and dancers and record world music versions of the Stones classics. This time, Keith, Charlie and Ronnie recorded as well as Mick Jagger. In addition to the 4 Stones, there were 75 guests on Stones World, including: Brazilian legend Milton Nascimento, Flamenco dancer Sara Baras, Fado sensation Ana Moura, Salsa King Eddie Palmieri, Stones singers Lisa Fischer and Bernard Fowler."